West Nyack, NY: Parker Publishing Company, 1965. First Edition. Hardcover. Very Good. First edition. xv, 205 pp. Red cloth with gilt and white lettering on spine. Very Good+ in Very Good+ dust jacket with some small closed tears and light edge wear, vertical crease to spine panel. Light rubbing to edges, small scratch in front cover. 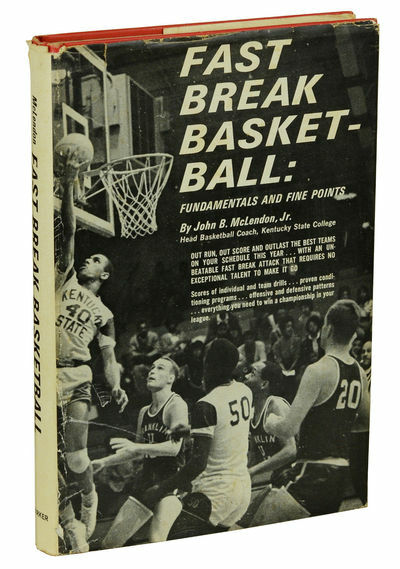 An uncommon, innovative guide to basketball by the Hall-of-Famer first African-American head coach of any pro sports team.